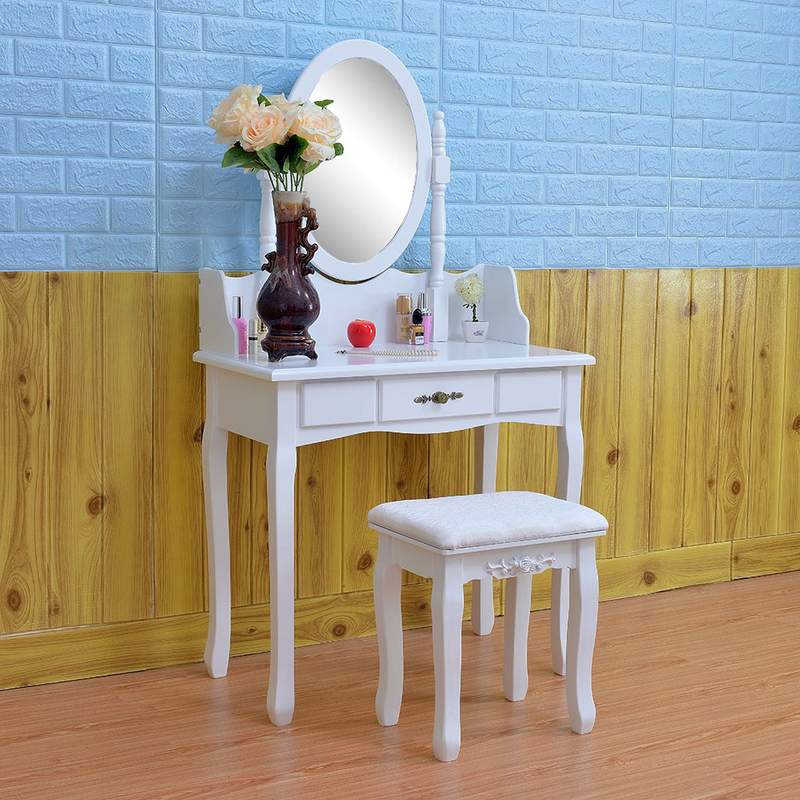 Made of high quality MDF material, Single Mirror Dresser with Dressing Stool is durable and reliable for a long term use. The top of the dresser can be removed, so you can also use it as a desk. Designed of delicate and stylish appearance, it will bring a exquisite life to you. 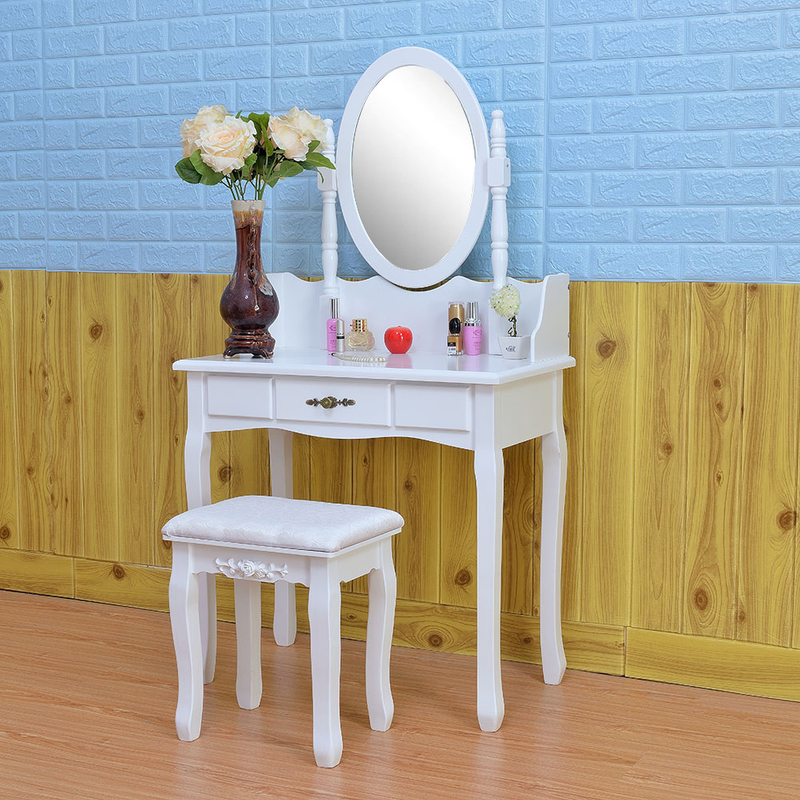 As a young girl, it is indispensable to have a dresser with mirror! It is a real bargain! Our dresser not only has good material and exquisite workmanship, but also is magnificent and rank at top level. It is also easy to assemble. With appropriate size, it doesn’t take up too much place when placing in bedroom. It is very convenient to organize and store. The space of the drawer is also very large, which can store a lot of things. Package came with no damages/scratches at all.It's in great protection.This dresser was bought for my 18-year-old daughter as her adult gift.She loves its simple but elegant style.It adds a sparkle to her sweet room.Super satisfied! 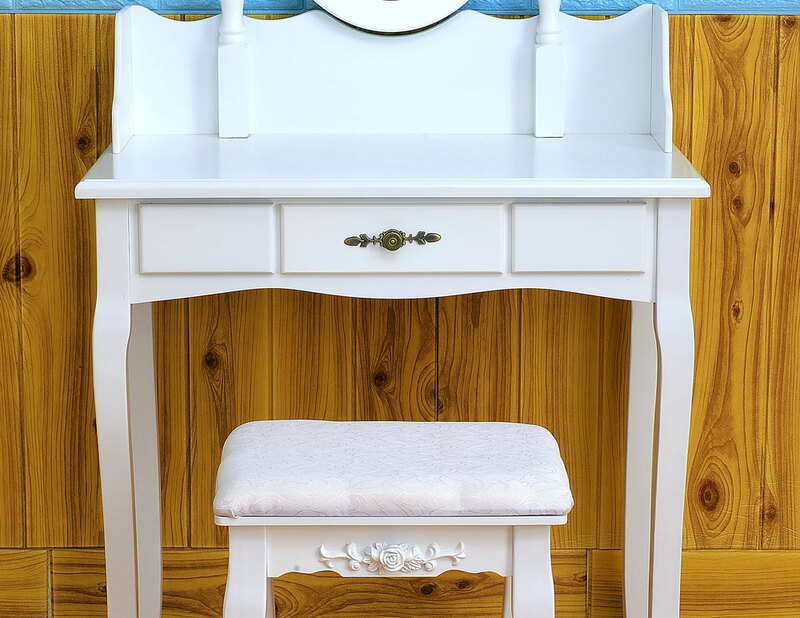 I am amazed at the quality of this dressing table. The packaging is very good and hard to even damage during transportation if you want. The assembly took 2 hours and only needed a screwdriver and a hammer. I did it myself, no problem. The direction is easy and very strong for the finished product. 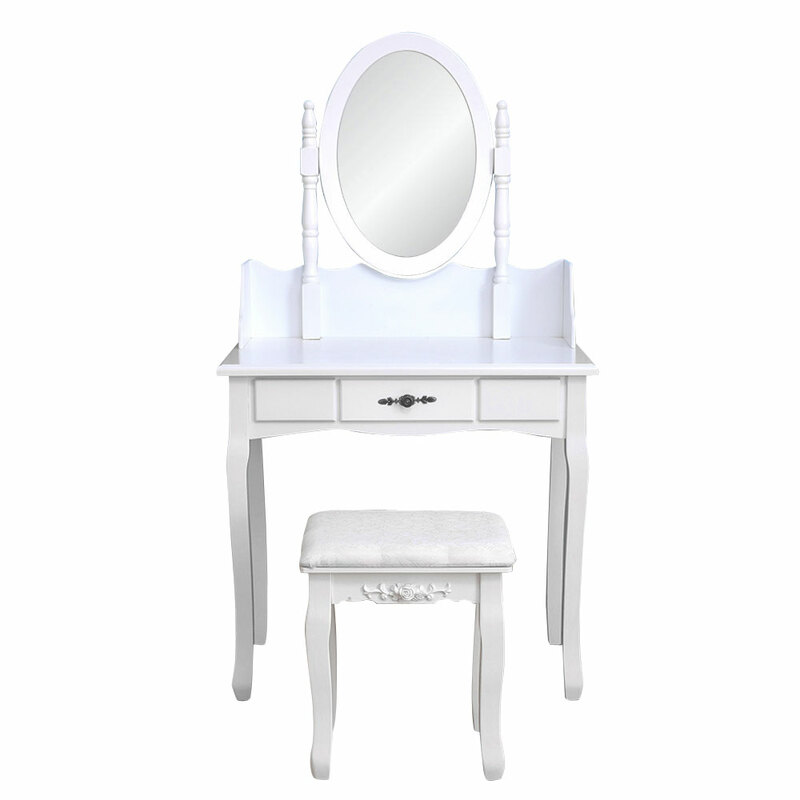 It is a beautiful dressing, in short I am very happy, can recommend this dressing table without reservation.